I said my London posts would make up a little series from now on, so consider this The London Diaries Episode 2! If you missed the first one, you can head over here to catch up with what I’m talking about. The last weekend I spent down in the big city was a busy one, and as you may have guessed, rather stereotypically British too. We also got up to something a little bit different, but I’ll get onto that later. This beauuuuutiful square has to be pretty high up on the list of “typical London landmarks”. However, aside from this visit, I literally can’t remember the last time I visited it. We arrived to bright sun and a variety of performers and artists dotted along the front of the National Gallery. Alongside a sketch of the notorious Kray brothers, I spotted that a couple of artists had drawn a variety of brightly coloured flags. On taking a closer look, I saw some writing inviting people to place a coin on the flag of their home nation. 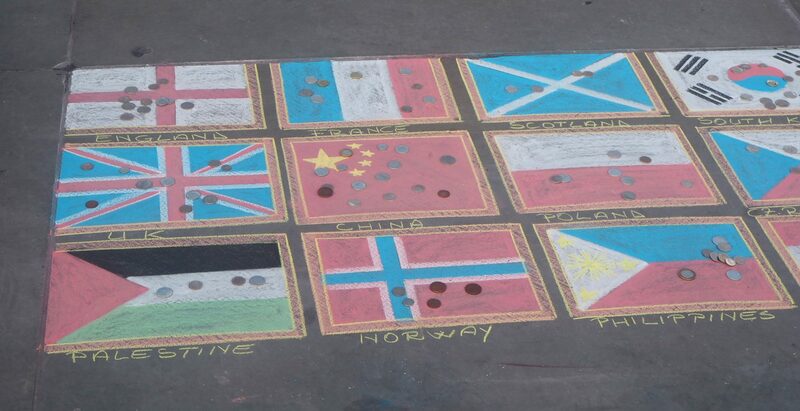 Although the number of coins on the British flag was highest, there were numerous coins placed on several different flags including the Chinese, Filipino and South Korean. Despite being aware of the multicultural nature of London, it was still quite astonishing to see. The flags really highlighted the range of backgrounds that people had come from using a very clever concept. 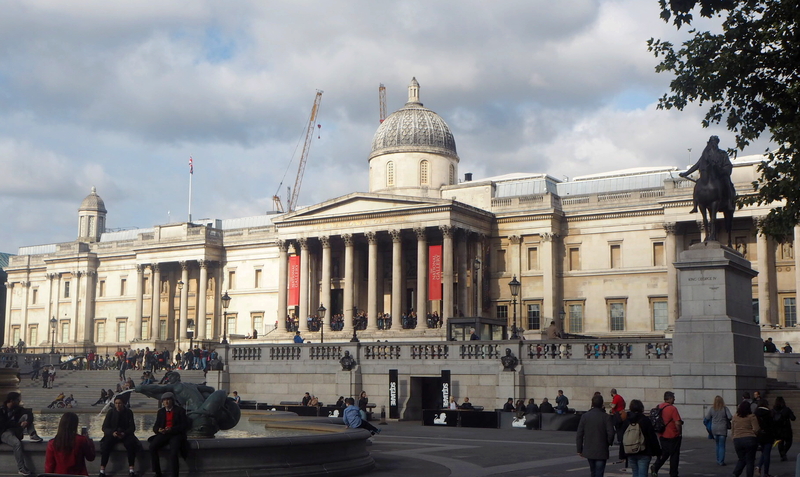 We also headed into the National Gallery for a quick stroll around. I’m more of a modern art person but it was definitely worthwhile visiting, and the building itself is quite something too! On our way out of Trafalgar Square we spotted The Admiralty and headed in for a spot of lunch. 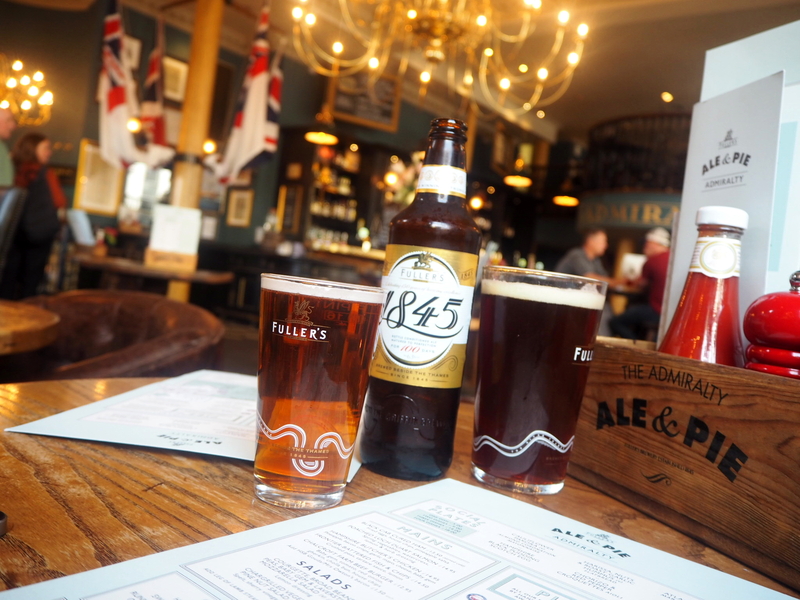 If you’re looking for a stereotypically British pub in London then this is the one for you. Decorated with Union Jack sails, the interior of the pub is reminiscent of HMS Victory, quite apt given that the pub looks out onto Nelson’s Column. The pub itself is labelled as an “ale and pie” pub, although other varieties of food and drink are on offer. However, as I’m one to eat all of the food with no care for my waistline, I tucked into my Steak Pie and half-pint of Seafarer ale quite happily. I’m not really an ale drinker but I thought I may as well give it a go (it was an ale and pie pub after all!) and I have to say, I was pleasantly surprised! The pub even does an “Ale and Pie Tasting Board” including 3 different pies and ales for the ultimate meal if you really want to go all out! Bear in mind you do pay for the experience and location here, so it is a bit more pricey than the average London chain pub. If you don’t mind paying a little more and want a quirky interior with great British food then definitely pay The Admiralty a visit! We really struck lucky with the weather so we decided to make the most of it and take a stroll through St James’ Park. 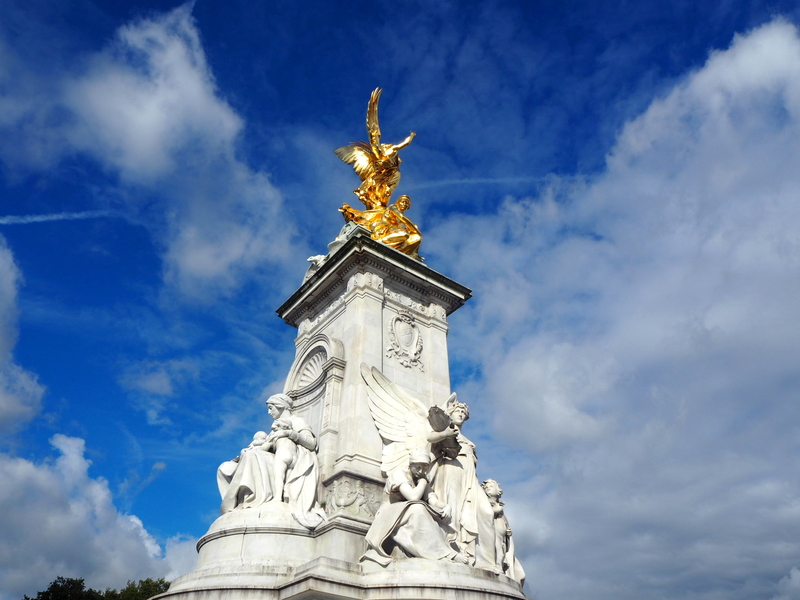 Now, another little confession for you, until Saturday I had never visited Buckingham Palace. Nope, I don’t know how I’d been going to London for most of my life and not visited it either, but there we go. But I’ve been now….and walked the whole way up the Mall, and sat on the memorial in the middle, and taken a cheesy picture but that’s beside the point. It was just so nice to sit there in the sun and just have a good old look around ( am I the only one that thinks the Queen must have a pretty good view out of the curtains in the morning?!). 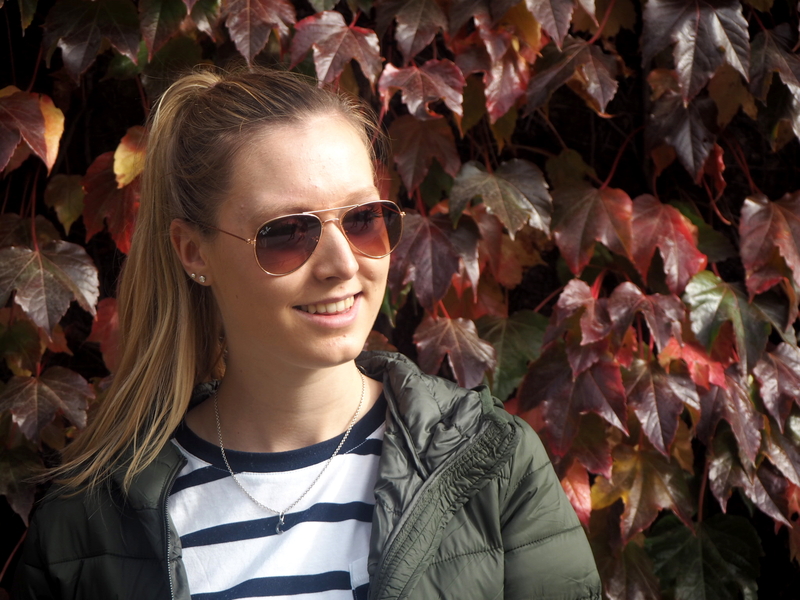 St James’ Park was also looking rather lovely, so I had to do what every blogger does and get a photo with some rather autumnal leaves. 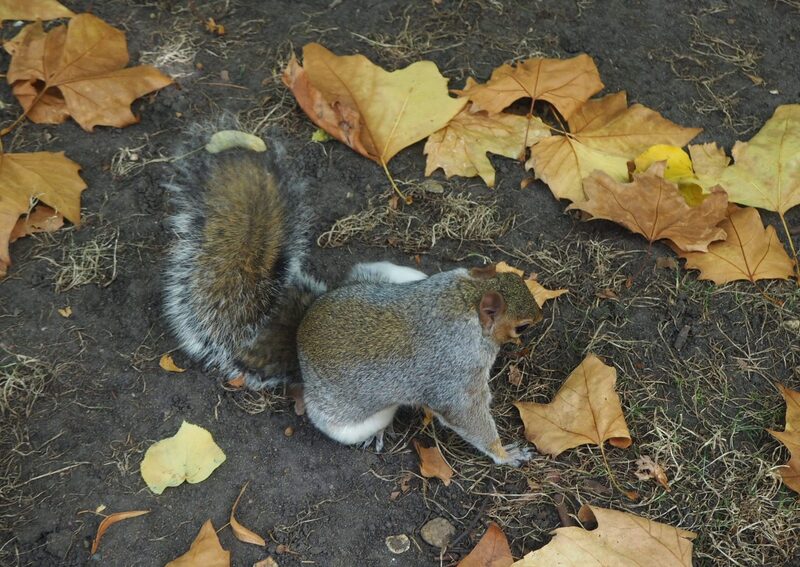 I spent a little while trying to make friends with a squirrel too, much to the amusement of a few other tourists, only for it to sit and have a scratch at my opportune photo moment. I guess they say never to work with children or animals for a reason! On our way out of the park, we spent a little while looking around the War Memorials at Hyde Park Corner. 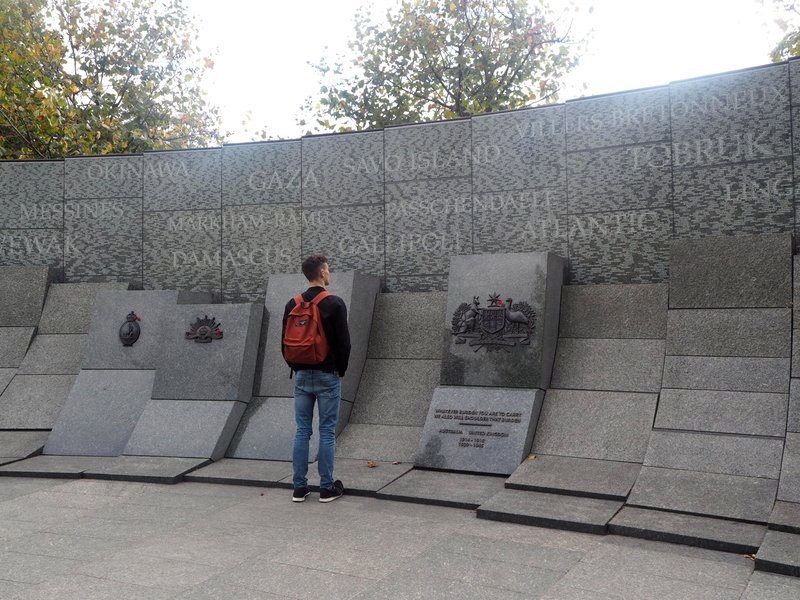 As well as the RAF Bomber Memorial, the Royal Artillery Memorial and the Wellington Arch, this area is home to war memorials from several other nations. The Australian War Memorial in particular caught both mine and Jack’s eyes. The curved granite wall of the memorial is inscribed with the names of 23,844 towns in which the Australian soldiers were born. Parts of some town names used bold text to create the names of 47 battles in which Australia was involved, which can be seen from a distance. Having all of these place names inscribed on one wall quite simply took my breath away. If you’re ever in the area I’d definitely recommend taking a look if you haven’t done so already. Now, for the slightly more unusual aspect of my weekend. If you asked two 19 year olds how they spent their Saturday night, I’d be very surprised if they replied “at a comedy club”. Saying this, I wouldn’t say Jack and I are quite the regular 19 year olds so there we go. This was my first time going to any sort of comedy evening, however Jack had been to Top Secret Comedy Club as part of his university freshers week and assured me that it was worth going. The club is located on Drury Lane in the Covent Garden area, just down from the New London Theatre. For just £6 each (prices vary) we were treated to an hour and a half of great entertainment, complete with cheap drinks and a fab atmosphere. We were definitely the youngest there, I’d guess most were around 25-35, but I didn’t feel out of place at all. The club also operates a drop-in policy so they get some big names trialling new material alongside their pre-booked acts. If you find yourself with a spare evening or just fancy trying something new, give Top Secret a try for size. I’d definitely be surprised if you left without a smile on your face! I would recommend booking in advance as their shows do regularly sell out, check the website here for more info. As always thank you so much for reading, your support means the world to me. 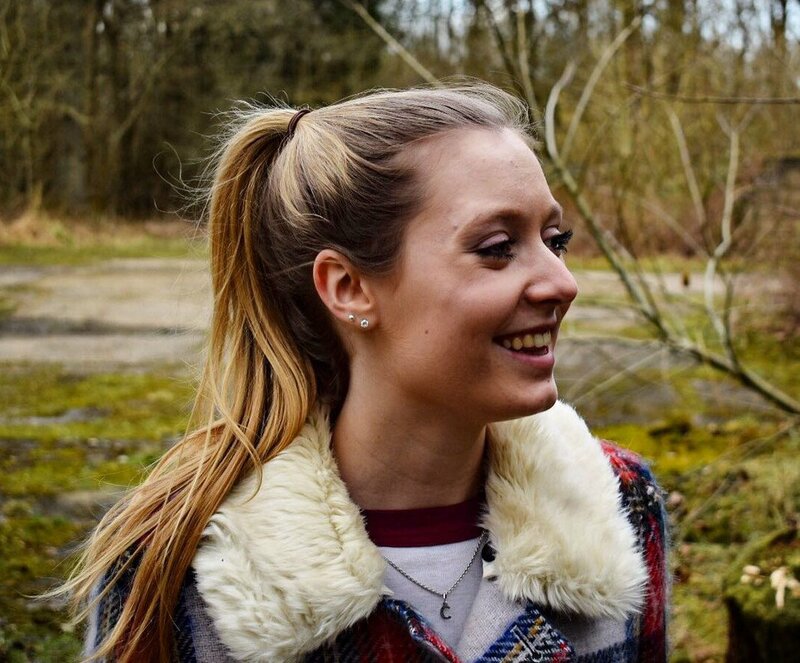 Don’t forget to follow my social media and subscribe to keep up to date on all of my posts! PS. If you want a handy little guide of London you can get one for free on the TripScout app (click here to download) using “ticketsandtravels”. You’re welcome. "London’s Urban Jungle: Sky Garden and Crossrail Place"